In a Nutshell: Thousands of businesses each year are declined much-needed loans to purchase equipment, add a location, or promote growth. Approved applications are still subject to a long, tedious process that can cost the applicant, on average, 25 total hours of work to complete. 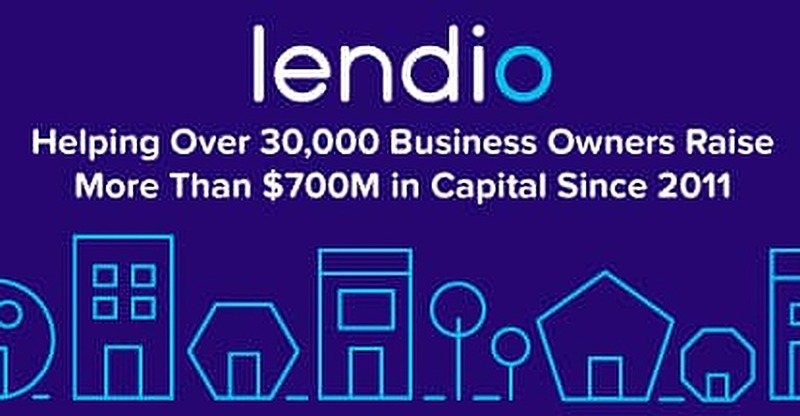 Since 2011, over 30,000 business owners have turned to Lendio to help fund more than $700 million in business loans. While Lendio is not a lender, its platform allows business owners to fill out one application and have it shopped among Lendio’s 75 lending partners. The application process is free and typically yields an average of three loan offers for borrowers to choose from. Some loan products can be funded the day they’re approved, with others disbursed through direct deposit in two to four business days. Ziplining can be a fun activity — but not during the winter. Feeling the breeze on your face while gliding over trees that border lakes and dot the sprawling mountainsides can be an exhilarating feeling — except when outside temperatures are in the teens. The weather was one of many challenges Jon Johnson faced when he fulfilled his lifelong dream and opened Zipline Utah in 2014. Boasting the world’s longest zip line over water (3,900 ft, if you’re counting) and a two-mile-long continuous zip line, the attraction became an instant hit with locals and visitors to the Wasatch Mountains. But a two-mile jaunt through the frigid air made Johnson’s course less attractive in the winter months. The attraction needed new activities to remain profitable during the off-season, so Johnson sought a small business loan to fund his plans. Obtaining working capital was more difficult than he had expected. Lacking the hard assets most businesses use as collateral, and a retirement account mostly drained due to business startup expenses, he turned to Lendio for help. Lendio is not a lender — instead, the company provides business owners a platform to fill out a single application that Lendio shops to any of the 75 lending partners it deems a good fit for the loan. The 10-minute application process typically yields multiple offers for the borrower to choose from. Since Lendio’s 2011 launch, the platform has helped fund more than $700 million in loans to over 30,000 businesses that may have otherwise been shut out of the traditional lending marketplace. Blake said around 70% of Lendio applications are approved and receive at least one offer, though the average approved application receives three offers. 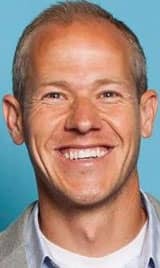 Headshot of Brock Blake is the Founder and CEO of Lendio. Lenders that partner with Lendio must pass a rigorous screening before they are added to the platform. The process focuses on each lenders’ reputation, the diversity of their loan products, their history of customer service and professionalism, and the underwriting technology they use. Blake said several lenders have inquired about being added to the platform, but the company’s strict standards prohibit some from inclusion. Most of Lendio’s business is focused on taking care of its customers. The company starts by assigning every applicant a Lendio Funding Manager who helps guide the customer through the process and answer any questions related to their application. “We do our best to combine a great online experience and layer in a funding manager who is an expert at talking about the different loan options, rates, and comparing the different lenders,” Blake said. The funding manager helps customers compare loan offers to decide which option is best for the applicant’s business. The manager also works to expedite the funding process to get the applicant their funds faster. Blake said certain loan products can include same-day funding, though the average loan is funded through direct deposit in two to four business days. Larger products, like commercial real estate loans, can take three to six weeks to fund, which is still faster than the industry average. Lendio’s platform offers multiple loan types — from startup loans to business acquisition loans. None of the products charge fees to the applicant from start to finish. Studies show that completing a business loan application can be a long and tedious process. The average applicant spends 25 total hours between gathering documents, filling out forms, and pulling together other information requested by an underwriter. Despite the time and energy spent, some of those loans are still declined in the end. Businesses seeking funding for startup costs, expansion, new equipment, or other expenses can fill out a single application and have their loan shopped to any of the 75 lenders on Lendio’s platform. The average application yields around three loan offers for the borrower to choose from. The application process is free for borrowers and includes the help of a dedicated Lendio Funding Manager who is on hand to address any questions or concerns the applicant has. Since 2011, more than 30,000 loans have provided over $700 million in funding for businesses across the US. For Zipline Utah, and owner Jon Johnson, that meant the difference between closing up for the chilly mountain winters, or welcoming new customers to the company’s winter rope courses, rock wall, and snow tubing course. For the truly brave adventurer, the zip line course is still open during the winter, so you can sail among the snow-capped trees and over the frozen lakes of Utah — just be sure to wear a hat and gloves.